Return to Project pageThe Happy Valley Berry Farm was started in 1996 by Shirley Kline and her husband, Wes. 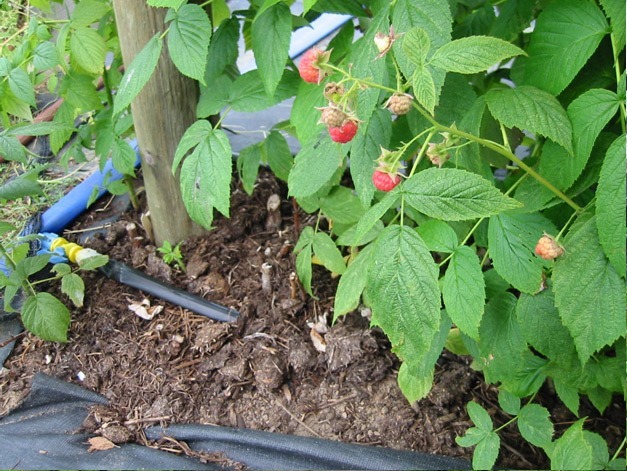 Produce includes raspberry, blueberries, blackberries, strawberries, gooseberries and specialty vegetables. 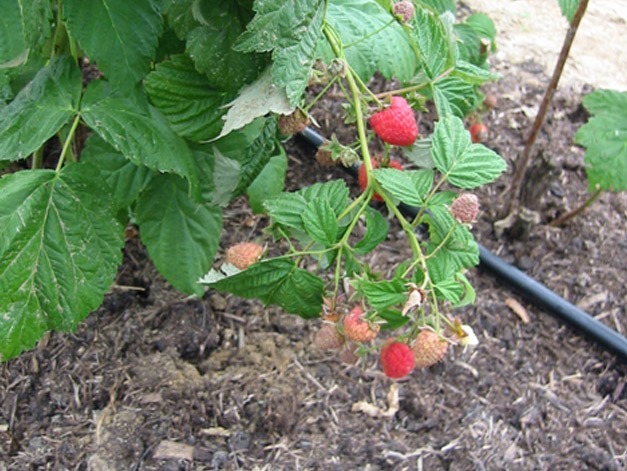 The use of pasteurized mushroom compost from Full Circle Mushroom Compost, Inc. has saved their 1999 Heritage Red Raspberry plants and improved the yield on their Josephine, HimboTop and Autumn Britten plants as well. 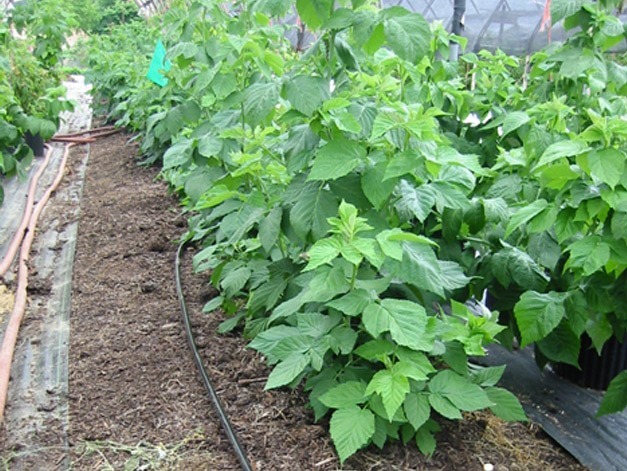 According to Shirley the compost has raised the soil pH, supplied natural nutrients and reduced water usage in this high tunnel operation. 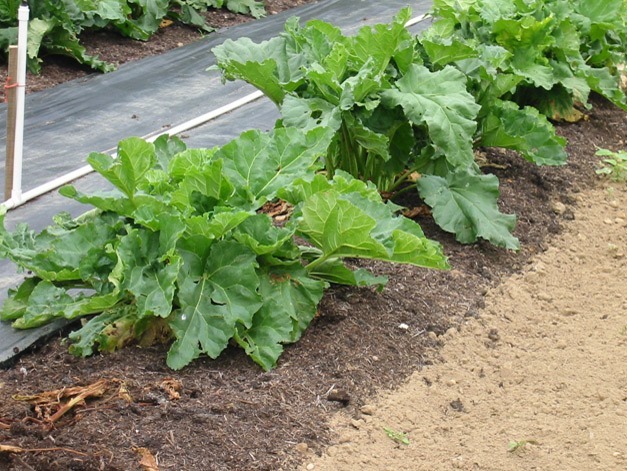 With a starting application in March/April, Shirley applies compost at 6″ depth across the beds. 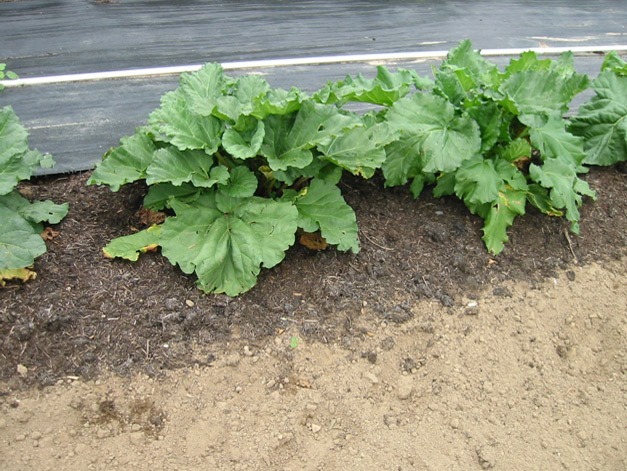 In addition, rhubarb is not a heat tolerant plant in southern NJ but it is thriving well with a thick layer of mushroom compost which holds the moisture and improves the fertility availability for this plant. This is a pesticide free farm serving local markets. 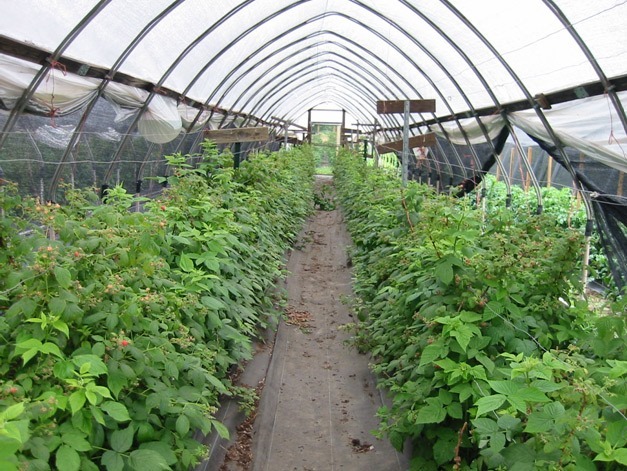 Contact Happy Valley Berry Farm at (856) 455-0553.